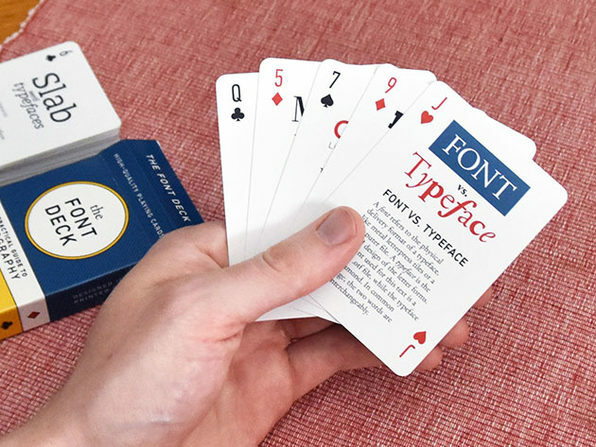 Learn about typography while playing poker! 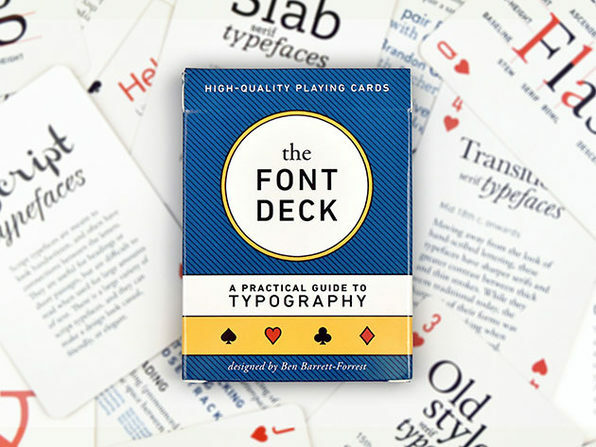 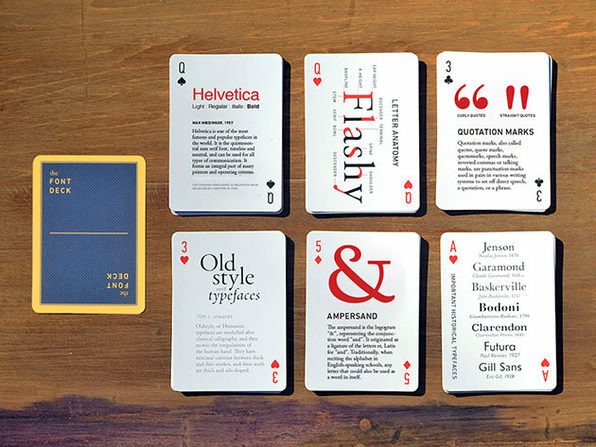 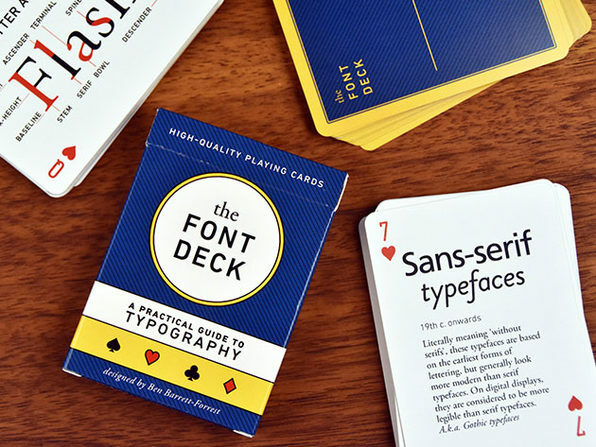 This beautiful, casino-quality deck of cards doubles as a practical guide to fonts. 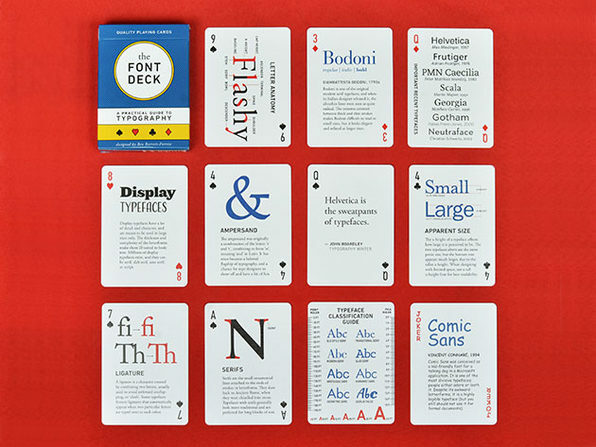 With this deck, designers and non-designers alike can learn the fundamentals and key terms of typography, improve at recognizing important fonts, discover fascinating history, and get better at using typography in their daily lives.